Multifamily financing is a mortgage used for the purchase or refinancing of smaller multifamily properties that have two to four units and large apartment buildings that have five or more units. Multifamily loans are a good tool for both first-time real estate investors and seasoned professionals. Rates are generally between 4.5 percent and 12 percent with terms up to 35 years. If you’re looking for a permanent multifamily loan for rental units you can check out Visio Lending. They’re a national lender that can finance 2 – 4 unit buildings up to 80% LTV. Terms are 30 years with fixed or variable competitive rates. Apply online today and get pre qualified in a few minutes. Conventional mortgages for buying a multifamily home are permanent “conforming” loans offered by traditional banks and lending institutions. These mortgages have terms of 15 to 30 years and can finance multifamily properties between two and four units but can’t finance apartment buildings with five or more units. Conventional mortgages are conforming because they typically adhere to Fannie Mae’s required qualifications and maximum loan amounts. However, they aren’t backed by the federal government. Conventional mortgages for multifamily homes are right for investors who want a long loan term. They’re right for investors who purchase a multifamily property that has already been rehabbed. They’re also right for investors who already have a banking relationship with a financial institution that offers multifamily loans. Keep in mind that these maximum loan amounts are regional and higher cost areas like Hawaii have higher maximum loan limits. An investor’s typical down payment with a conventional multifamily loan is 20 percent or more of the property’s purchase price. This is fairly standard when compared to more traditional residential property loans. The rates found on a conventional mortgage can be either fixed or variable. Fixed rates are fully amortized throughout the loan’s term while variable rates typically reset after a seven- to 10-year period. Variable interest rates are based on the six-month stated Intercontinental Exchange London Interbank offered rate (LIBOR), and there is usually a cap equal to the starting interest rate plus 5 percent to 6 percent. You might also be charged a minimum $500 appraisal fee as well as an application fee that’s typically around $100 to $200. The application fee will sometimes cover the appraisal. Loan origination fees and closing costs are typically taken directly out of the loan. If you have a property with five or more units, you’ll want to look into government-backed multifamily loans and multifamily portfolio loans. Further, conventional mortgages typically don’t finance a rehab or renovation project. Therefore, the second qualification you need to mind is that all multifamily properties have to be in good condition prior to financing. You can use an online marketplace like Lending Tree to connect with multiple lenders and receive multiple offers at once. This can help you find the best rates, terms and fees on your conventional mortgage quickly. 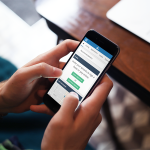 Get started today and start connecting with lenders within minutes. 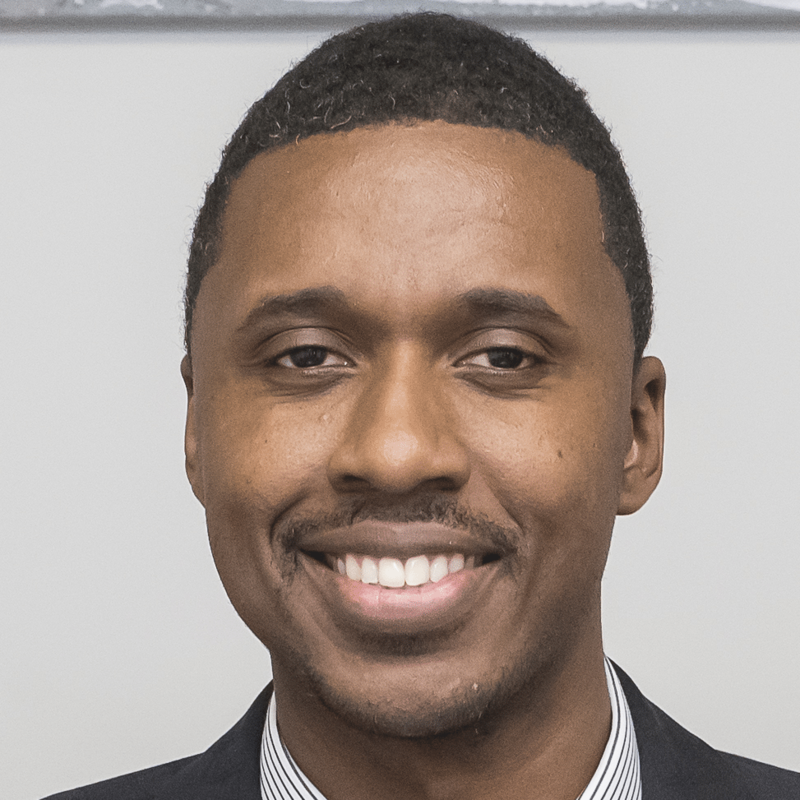 Government-backed multifamily financing is multifamily loans sponsored by Fannie Mae and Freddie Mac as well as the Federal Housing Administration (FHA). There are more than five government-backed multifamily financing options, which can either finance properties with two to four units or properties with five or more units. Government-backed multifamily loans are right for investors who want to live in one of the units and rent out the other units. Investors who only have a small down payment can also benefit from government-backed multifamily loans. They’re also right for larger investors who want to purchase a five or more unit property with an FHA multifamily loan. The FHA offers multifamily loans for properties with five or more units. The minimum loan amount is $1 million and there is no maximum amount. However, the FHA 223(f) apartment loan can finance up to 87 percent of a property’s LTV, meaning that the down payment would only be 13 percent or more of the purchase price. 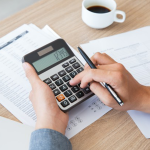 These costs are usually taken directly out of the loan and aren’t considered out-of-pocket costs. Fannie Mae and Freddie Mac multifamily loans with longer terms have fixed rates that are fully amortized and shorter-term loans can have fixed or variable rates. FHA rates are fixed over the entire term. Fixed rates are typically amortized over the term of the loan while variable interest rates adjust after three to 10 years based on the current six-month LIBOR rate. Both Fannie Mae and Freddie Mac multifamily loans have terms between five and 35 years. The time to approval and funding with these multifamily loans can be 60 to 90 days. For FHA-backed multifamily loans, the term can be as long as 35 years. Because there are more regulations and guidelines with FHA loans, the time to approval and funding is longer at 60 to 180 days. Fannie Mae and Freddie Mac’s multifamily financing options together can fund the purchase of a multifamily property between two and five units or more. Just remember that the conforming loans can finance properties between two and four units while the nonconforming multifamily loans can finance properties of five or more units. The Fannie Mae, Freddie Mac and FHA multifamily financing options are originated and offered by government-approved mortgage lenders. For example, the Commercial Real Estate Finance Company of America offers all government-backed multifamily loan options. A portfolio loan for multifamily properties is a nonconforming loan used to purchase a multifamily property between two and five or more units. Portfolio loans for multifamily properties are permanent mortgages with terms between three and 30 years. These types of multifamily loans are right for investors who need more flexible multifamily loan requirements. They’re also right for investors who want to finance multiple properties at once because they can finance four to 10 properties simultaneously. Portfolio loans for multifamily financing aren’t required to meet Fannie Mae or the other government organization’s requirements for maximum loan amounts and down payments. This means that portfolio loans are more flexible than conforming multifamily loans. These costs are taken directly out of the loan and their interest rates can be either fixed or variable. Like the other multifamily loans, variable interest rates are typically fixed for five to 10 years before adjusting every six months based on the six-month LIBOR rate. The most common types of portfolio loans for multifamily financing will often have a term of 15 to 30 years. The usual time to approval and funding is between 30 to 45 days. Remember that since portfolio loans are nonconforming loans, they’re offered by lenders of all shapes and sizes. Traditional banks, credit unions and savings and loans, as well as private lenders, can all offer portfolio loans. Visio Lending offers multifamily portfolio loans for rental properties with two to four units. The national lender can finance up to 80 percent LTV. Terms are 30 years with fixed or variable rates that are competitive. Apply online and prequalify in minutes. Short-term multifamily financing is a nonpermanent multifamily loan option with terms that range from six to 36 months. These loans include both hard money loans and bridge loans with monthly payments that are usually interest-only. Short-term multifamily financing loans are right for investors that want to season, renovate or increase the occupancy a multifamily property in order to meet the stricter requirements of a permanent multifamily loan. Furthermore, some investors use these nonpermanent options to buy a property and wait until they meet the personal qualifications before refinancing. The LTV ratio is based on a multifamily property’s current fair market value and is used to finance properties in good condition. The loan-to-cost (LTC) ratio, on the other hand, is based on the combined costs of purchasing and renovating a multifamily property and is used for properties in poor condition. This means that an investor should expect to cover 10 percent or more of a property’s purchase price or 25 percent or more of a property’s purchase price plus renovation costs. These costs are typically taken out of the loan and don’t come out-of-pocket. The interest rates found on short-term multifamily financing options vary widely depending on the type of loan and the lender. The terms of a nonpermanent multifamily financing option are short and typically between six to 36 months. This means that investors will typically either have to flip the property or refinance with a permanent multifamily loan at the end of the term. However, the time to approval and funding is also short, making it advantageous for investors who need to compete with all-cash buyers. For hard money loans, the typical time to funding is between 10 to 15 days. For bridge loans, the time to funding is between 15 to 45 days. Hard money lenders like Patch of Land offer 12- to 24-month short-term financing options for two- to four-unit buildings, condominiums, townhomes and multifamily apartments. You can borrow up to 85 percent LTV with a max of $3 million. Interest rates start at 8 percent and their application can take minutes. Multifamily mortgages can finance two types of properties. The first is a residential investment property with two to four units. The second is an apartment building with five or more units. 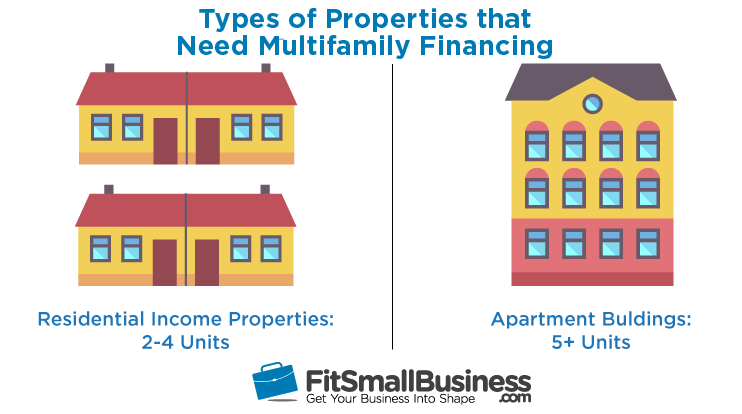 This distinction between the types is important because the number of units dictates the types of multifamily financing options. For example, conventional mortgages can only finance residential income properties between two to four units. Government-sponsored loans and short-term financing options, on the other hand, can finance both residential income properties as well as apartment buildings with five or more units. Permanent multifamily mortgages have repayment terms of five to 35 years and have a loan-to-value ratio (LTV) of up to 87 percent. Interest rates range between 4 percent to 6 percent and rates can be fixed or variable. Permanent multifamily mortgages are the most common type of multifamily financing and account for 93 percent of outstanding multifamily loans. Although permanent loans are generally long term, there are some shorter options. For example, government agencies offer loans that have terms between five to 10 years. On the other hand, long-term permanent multifamily loans have terms between 10 to 35 years. Monthly payments are typically amortized during the entire term. What’s more, interest rates are typically fixed. Temporary (short-term) multifamily loans, such as hard money loans, are mortgages with terms between six and 36 months. Monthly payments are typically interest-only with fixed rates between 4 percent to 12 percent or more. Temporary multifamily financing options are used to purchase, renovate, season or sell a multifamily property before refinancing to a permanent mortgage at a later date. Overall, investors of multifamily properties should be willing to be active in the management of the property. They should have at least nine months cash reserves not only to cover monthly loan payments through vacancy periods but also to cover unforeseen repairs as needed. What Qualifies as a Multifamily Home? A multifamily property is generally a residential property with two to four separate units. This is how lenders define a multifamily property. However, the FHA considers a multifamily property one that has five or more units. If you need a loan for a property with five or more units, then check out our in-depth guide on apartment building financing which includes lenders, their rates, terms and qualifications. How Do I Finance a Multifamily Property With No Money Down? Buying a multifamily home with no money down can be done but it’s not common. Generally, multifamily mortgage loan requirements include a down payment, so you could work with a partner who will put up the money for a down payment in exchange for a portion of the equity. You could also wholesale the property without putting any money down. Another option is to ask the owner for seller financing with no money down. Can You Use an FHA Loan to Buy a Duplex? You can when buying a multifamily home that is a duplex you can usually use an FHA loan. This type of loan offers a down payment as low as 3.5 percent but you’re required to be an owner-occupant so you can live in one of the units and rent out the other unit. When you are shopping around for multifamily loans, there’s some terminology that you’ll want to be familiar with. Multifamily loans are used by investors to finance multifamily properties between two and five or more units. These properties can include condos, townhomes, duplexes, apartment buildings and more. However, there are many different multifamily financing options available and it’s important to understand the best ways to invest in real estate. Visio Lending offers permanent multifamily loans for rental properties with two to four units. The national lender can finance up to 80 percent LTV. Terms are 30 years with competitive fixed or variable rates for prime borrowers. You can apply online and get prequalified in a few minutes. As others have already said, this an extremely well written article. Great info, analysis, with relevant and unobtrusive ads — and no “guru” talk! Thank you, writers, researchers, and editors! Your site is great. Respect. Thanks Joseph, I really appreciate it. We did put a lot of work into this article and glad people have found it valuable. Keep reading and sharing if you find other topics of ours to be interesting. You mention portfolio loans at up to 97%, but the only lender you link to provides only 80%. Where do I go to get that 97%? Thanks for your question Rich. These vary by lender but in some cases, FHA approved lenders will go up to 97%. An FHA article will be published soon on the site and it goes into detail on multifamily loans. Great article, very informative. Will all the programs mentioned allow for LLC ownership as opposed to an individual? Also when you mention cash reserves/liquidity does it apply to only the property being purchased, or to all properties held by that person/entity? This is great. I wish there was a section on contstruction financing. I assume the terms are much like the hard money loans described but the description section doesn’t address construction, just renovation or seasoning. I’d like to know how the process from construction to roll over into a portfolio loan would work & ballpark rates. Looking at building a 12 unit multifamily. Early proformas pencil pretty well but not sure my loan rate math or % debt to equity for the 2 phases reflects current reality (assuming about 6% interest and 75% Loan to hard costs for construction with interest only, 3.8% LTV upon stabilization and 30 year ammort. This is detailed and good. Thank you for such a detailed post! Thanks for the kind words, Lois! Keep reading.